There is nothing quite as adorable as baby ducklings. There is just something about their little quack and too big for them feet that tugs at me begging to take a few of them home. And in the spring, ducks and chicks are in the feed stores tempting me on each visit. Before you head out of the store with a box full of cuteness, you will want to set up a home for them first. 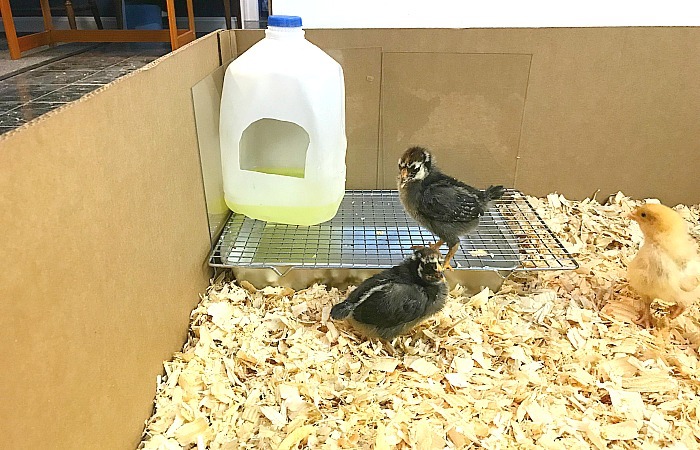 Today we are going to talk about how to set up a DIY brooder box for ducklings so you can dive into the fun and quirky world of raising ducks. I have been raising baby chicks for just short of a decade and I seem to have things down to a good system. Baby ducks, on the other hand, are a completely different story and the setup I have for my chicks is not a good system for ducklings. They just can’t help it. They are a bit clumsy in the beginning as well. For that reason, you will need a setup that will keep things neat, unless you are going to clean their box out daily. And if you are anything like me, then you do not have time to clean a full box out every single day. This system will keep the cleaning down to a minimum, provide a dry box that will keep the stink down, and a safe environment for your ducks who have not quite grown into their feet just yet. Ducks are messy, they just can’t help it. Their bills shower water all over their neighbors and the box every time they take a drink. It just comes with the territory. So, if you are using a cardboard box as your brooder box, you will want to do a little prep work to help keep the water better contained. Step #1 Gather your supplies. There are a few things you will need before you start setting things up. 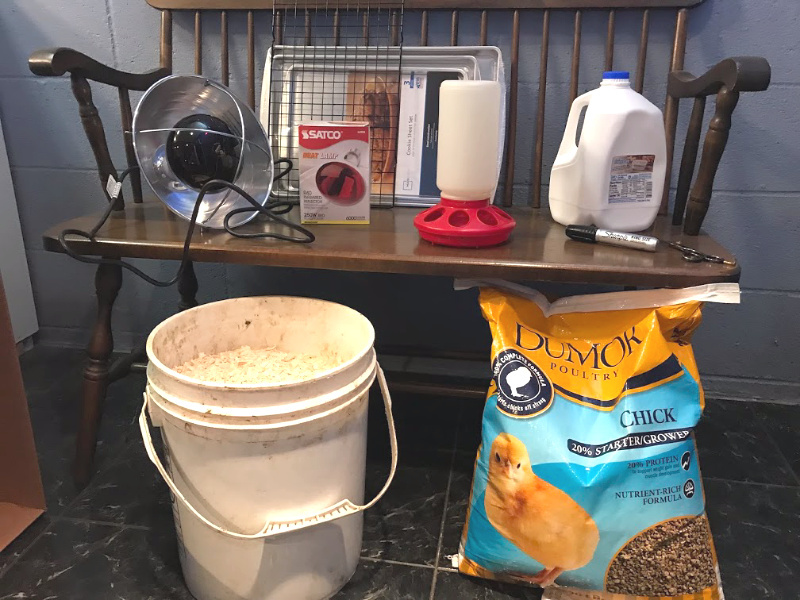 Most items you might have on hand, but the rest you will want to purchase so you have your setup ready before you bring your ducklings home. Duckling or Chick feed – Be sure it is a “Starter” feed and that you can feed to ducklings. Bedding – Wood shavings works best. Cooling rack – If the holes are large you will need two. Feeder – You can also use a bowl but I find these feeders much neater. Thermometer – To regulate the temperature of the brooder box. Heat lamp – Be sure you have one with a guard and a clamp. Step #2 Choose a location. Ducklings are fragile and need to be kept in a location that is safe from pets and young hands. 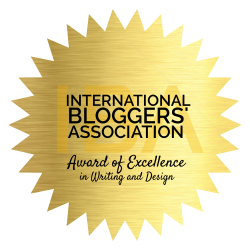 An out of the way place works best. Choose an area that is low traffic so there is not a risk of bumping the box. We like to keep our baby ducks and chicks in our basement in an enclosed room. This keeps our dog away from the ducklings as well. If you live in the north, don’t worry too much about the cold. Heat lamps are part of any setup with ducks or chicks and they will keep your DIY brooder box toasty warm even if the outside temp is cold. Disclaimer: Heat lamps are a fire hazard so please use discretion when adding one to your brooder box. Take every precaution to ensure you have the lamp secure so it will not come in contact with the box or the bedding. Step #3 Set up your box. Make sure your box is large enough to hold your ducklings. A good rule of thumb is 1-1.5 square feet per duckling. (Chicks require less). If the box you have is smaller, just know you will need to increase the size as your ducklings grow. Place in a nice layer of wood shavings on the bottom. This will help to keep things clean for the ducklings and make it easier for you to keep things neat as well. Ninja Tip: HEADS UP! Using wood shavings is dusty, more than you might imagine. Maybe not as much with ducklings but with chicks the dust can be horrible. 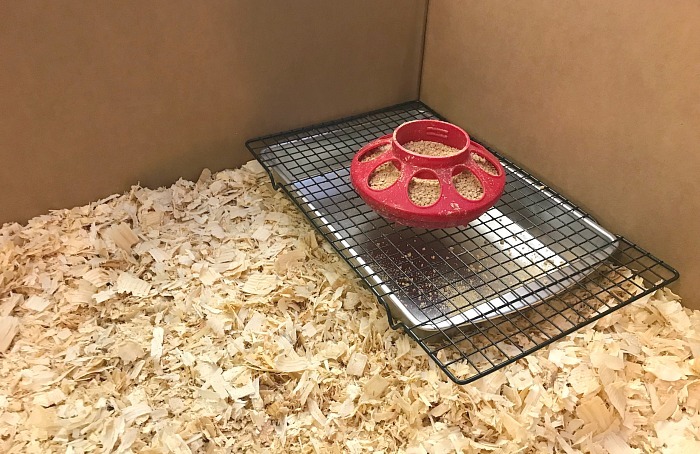 So keep that in mind when choosing a location for your brooder box. You will have dust on the walls and any bare surface that is close by. Step #4 Add the feed and water. I mentioned before that ducks are messy and this is a step you will want to follow to help keep your brooder box neat and dry. 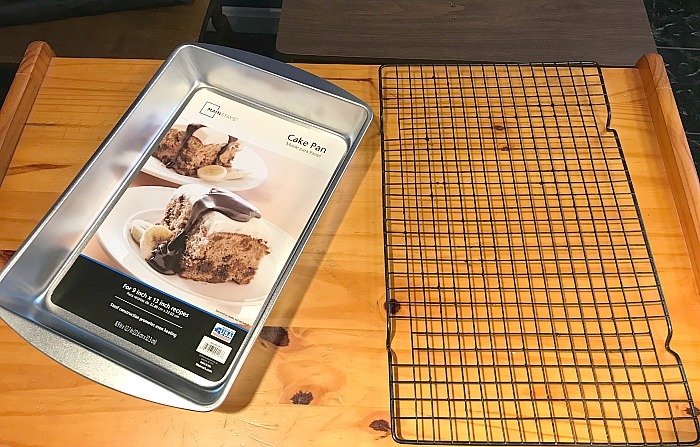 I use a simple baking sheet or pan topped with a cooling rack. On top of this set-up, you will put the food and water. This allows any spilled water to be caught in the tray keeping the box dry. Ninja Tip: Make sure you choose a cooling rack with small openings so your duckling’s small webbed feet do not fall through risking injury. The rack I have does have large holes so to fix this I purchased a second one and staggered it keeping the walking area much easier for the little ducks. You can find baking sheets and cooling racks at the dollar store. Step #5 Create a foolproof water system. Ducks are messy, I think I might have mentioned this before? 🙂 Especially when they drink. I am not sure what they do but water tends to spray everywhere when they are drinking. To fix this, I like to create an enclosed container for the water. This way when they shake their heads and flap their bills the water stays somewhat contained. Just cut a hole in a cleaned out milk jug or another plastic container. Make sure it’s low enough so the ducks can reach the water, yet high enough that the water does not spill out easily. Ninja Tip: As your ducklings grow you will need to raise up the hole as well. I would create a new waterer after a few weeks to keep things dry inside your box. You will also want to put a few cleaned rocks inside of the jug again to keep the ducks from splashing too much. This also keeps the water container from being spilled or knocked over. Step #6 Add the food. I am sure there are homemade ways to feed your ducks, but I love the plastic chick feeders the best. They are neat, easy to clean and very durable. At just a few dollars they will last for years and work for both ducklings and chicks. Fill up your container and place on the tray next to the water if there is enough room. If not, you will want to find a small wood block to put the feeder on. This just holds the food up a bit to keep any soiled bedding out. Step #7 Heat things up. Disclaimer: Heat lamps are a fire hazard so make sure you purchase one with a guard like the one shown. Also, use every precaution to ensure your lamp will not come in contact with paper or the ducklings themselves. These lamps are HOT and will do damage quite quickly. Make sure the clamp is secured in a way that it cannot be jiggled loose. This step is important and one where you will want to take your time. Heat lamps are dangerous and if not set-up correctly can start a fire quickly. Make sure to use all precautions when setting yours up and make sure you have things secured before walking away. I purchase lamps with both a face guard and a clamp. Both features allow me to really secure the lamp so there is no risk of it being knocked down falling inside of the brooder. I also like to go one step further and put a wire rack over the brooder box to “stop” the lamp if it should fall. Why do you need a lamp? Ducklings and chicks need to be warm since they are not with their mother. The lamp will give sufficient heat even on the coldest days. Ninja Tip: Use a thermometer to register the heat in your brooder. Try to get close to 90 F the first week then adjust it by 5 degrees each week until the temperature matches the outside temp. This will help your ducklings adjust slowly to the normal temp. 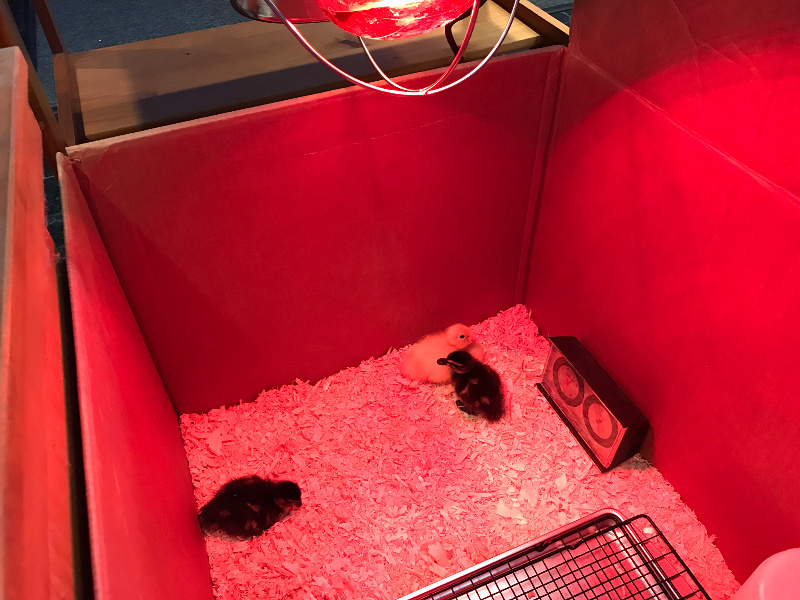 If you see your ducklings huddled directly under the heat lamp then you know the brooder box may be too cold and you will want to adjust things accordingly. If you see your ducklings far away from the heat lamp then the brooder box may be too warm and again you will want to adjust the lamp. If, however, your ducklings are scattered like in the picture above, then you know you have the perfect temperature for your duck’s home. 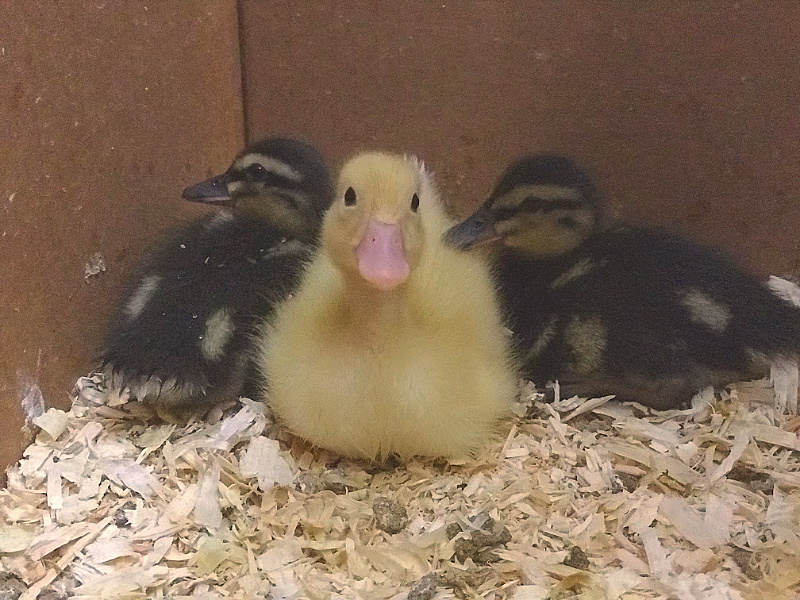 Step #8 Add your ducklings to your DIY brooder! 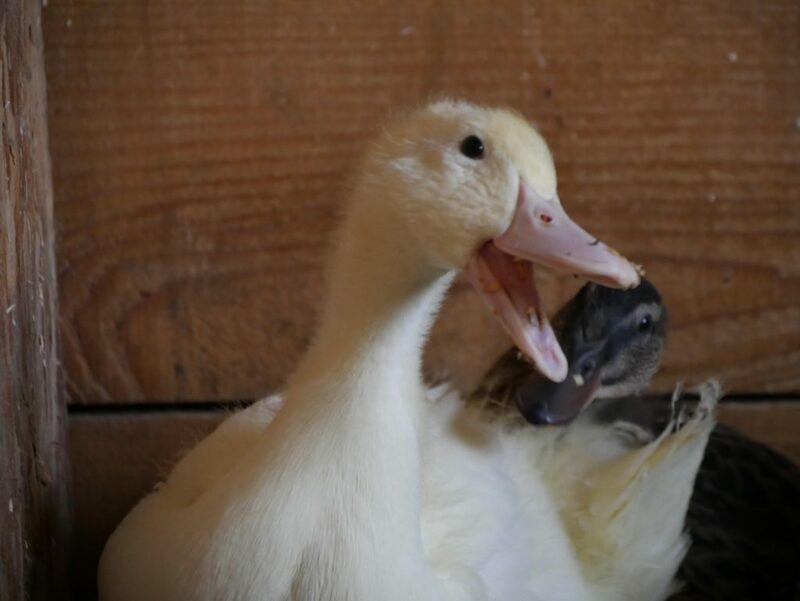 Add your ducks one at a time to your DIY brooder box. You will want to keep an eye on them for a few reasons. Make sure the brooder is safe. If you see an area that needs fixing you can do it right away before any of your ducklings get hurt. You can see that all your baby ducks can easily find and use the feeder and waterer. If they are not, then try dipping their bill into the water to let them know where it is. You can watch each duckling for any health issues. Watch how they walk, eat, drink, and interact. If you see anyone with a problem then you can deal with the issue before it gets out of hand. If you find you have a duckling that is acting off or walking differently, you can read HERE for tips. Know what to look for and what you can do to help before things go too far. Ducklings are a joy to have on any homestead. Their quirky antics and personalities give a spark of fun you will enjoy every day. They are low maintenance, lay HUGE eggs, and help protect the coop with their warning calls. I encourage you to add a few to your home this season. Have you tried this DIY brooder box for ducklings? If so, leave a comment below on how it worked for you. I would love to hear!